The last International rugby has finally been played for the year. Through the contentious refereeing, the absurdly poor turfs and the Ruan Pienaar, there were also some great positives. In a year that the All Blacks became the first ever to go undefeated in the modern era, the Springboks won in Mendoza, Paris and Brisbane and of course Bismarck completely owned Dan Carter. We asked Jabu and the Tight Head author Louis Hiemstra to give away some awards in a season ending review. What was the best test match you saw this year? 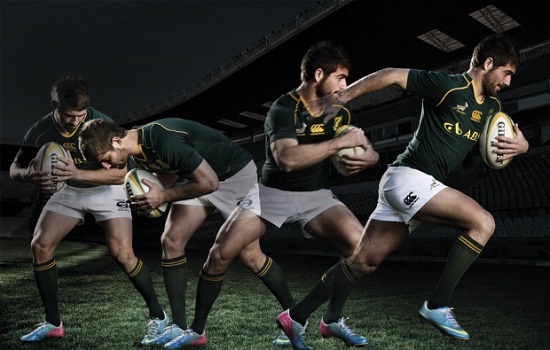 Louis: Springboks v All Blacks, 5 October 2013 at Ellis Park. Strange I know, given that we lost. But this Test gets my vote because of what was at stake and how both teams approached the game. Very little foul play and unnecessary referee intervention. A good, old-fashioned classic Test with an indescribable atmosphere. Jabu: There were a few outstanding tests and although the Ellis Park match was incredible, I pick the opening test between the British & Irish Lions and Australia. Some incredible rugby and tight kicking saw a tight match that went all the way to the end. 2 tries a piece were scored as both teams were prepared to go for it and ultimately a Kurtley Beale missed penalty after the hooter allowed the Lions to win 23-21. Which result stands out for you as the best result in the year? Louis: British and Irish Lions v Wallabies, 3rd Test, 6 July 2013 at ANZ Stadium. Good to see the Lions finally winning a series after 16 long years. The result will help maintain the enthusiasm from the North to continue with what is one of the greatest rugby traditions. Jabu: The Lions winning a series was huge, but probably somewhat under the radar was the brilliant victory by Georgia against Samoa. Having never beaten a team ranked in the top 10 of the IRB Rankings, the 16th ranked Georgia managed a tough and bruising victory against 9th ranked Samoa. Surely this is the kind of platform that Georgia need to be given more high-profile games. Who is your International Rugby Player of the Year? Louis: Kieran Read. And by a country mile too. Jabu: There is no competition. Kieran Read. Louis: Jean de Villiers. He has taken his game to the next level this year and played one of his best seasons of rugby yet. He is also proving to be an outstanding captain who is gelling with Heyneke Meyer perfectly. Jabu: Eben Etzebeth has done so much good work for the Springboks. 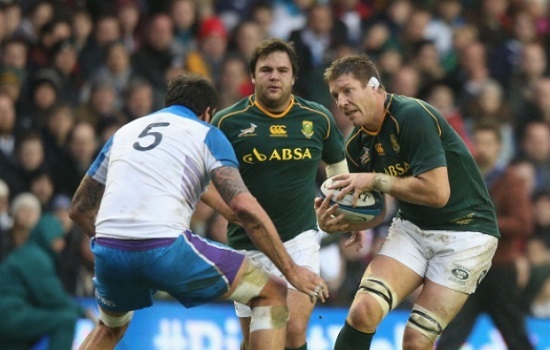 His outstanding ability has meant that even the return of Bakkies Botha could not remove him. The biggest disappointment for the youngster, will be that there has been a lack of consistency in his partnership for lock. 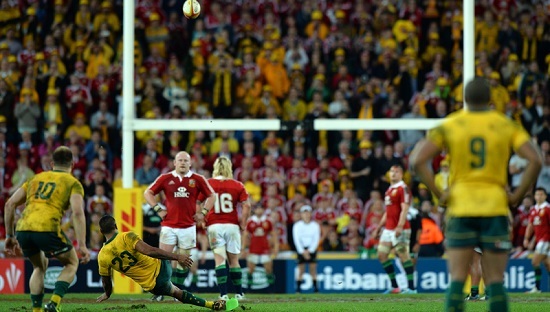 What is the best try you saw in 2013? What was the most contentious moment in 2013? Louis: Bismark de Plessis’ tackle on Dan Cater, 14 September 2013 at Eden Park. Such a blatantly poor call in such an important Test, at a time in the game where the Boks were starting to find their feet. In the end a deserved yellow card (which was then automatically turned into a red card) ended the contest in the 42nd minute. Jabu: Many will point to the Romain Poite decision and rightfully so. But surely the quality of the pitches for the year-end tour require just as much mention. They were atrocious at best and players around the world were lucky to escape serious injury. Surely the turfs should be up to an International standard. Who was the comeback player of the year? Louis: Bismark du Plessis. Having suffered a major knee injury which kept him out of the game for the better part of a year, Bissie doesn’t look like he his missed a beat. If anything, he is playing better than he was before the injury – if that’s even possible! 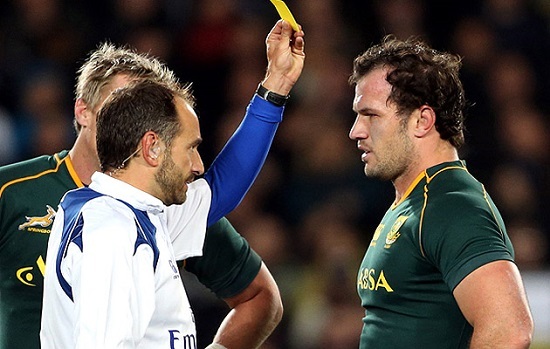 Jabu: Fourie du Preez. He took approximately five minutes to dispel any myth that playing in Japan had weakened him. In fact, when Fourie played South Africa’s play clicked at a much better rate. He still has one of the best rugby minds in the world and there is no reason why he can’t make a 2015 World Cup appearance. Who was the breakthrough player of the year? Louis: Willie le Roux. Surely now the undisputed first choice fullback for the Boks. What was the biggest disappointment in the Year? Louis: The influence of poor refereeing decisions on important matches and lack of accountability of referees. From on field decisions to post match citing hearings, the inconsistency emanating from the authorities has left many people scratching their heads. If it isn’t sorted out properly it has the potential to derail the game. Jabu: Although the Springboks won in Mendoza, Paris and at Suncorp Stadium, the outstanding disappointment for me was losing to New Zealand at Ellis Park for the first time in history. I think it was a game we could have won with the right application, but in pursuit of glory we found disappointment! We need to make this right when we host them at the iconic stadium again in 2014.
Who was your favourite person to follow on twitter for International Rugby? Jabu: Bryan Habana. Yes there is also the likes of Sport Billy and Froners who make games entertaining, but Bryan is a proud South African and is happy to engage with fans and other players.